Plump, tapestry-woven pillows with metallic accents and lavishly edged with tassels. 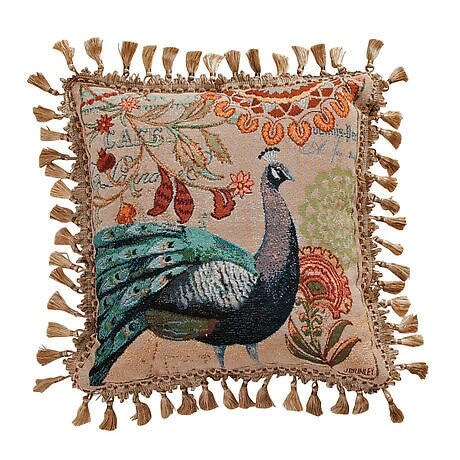 Pretty as peacocks, with vintage appeal. 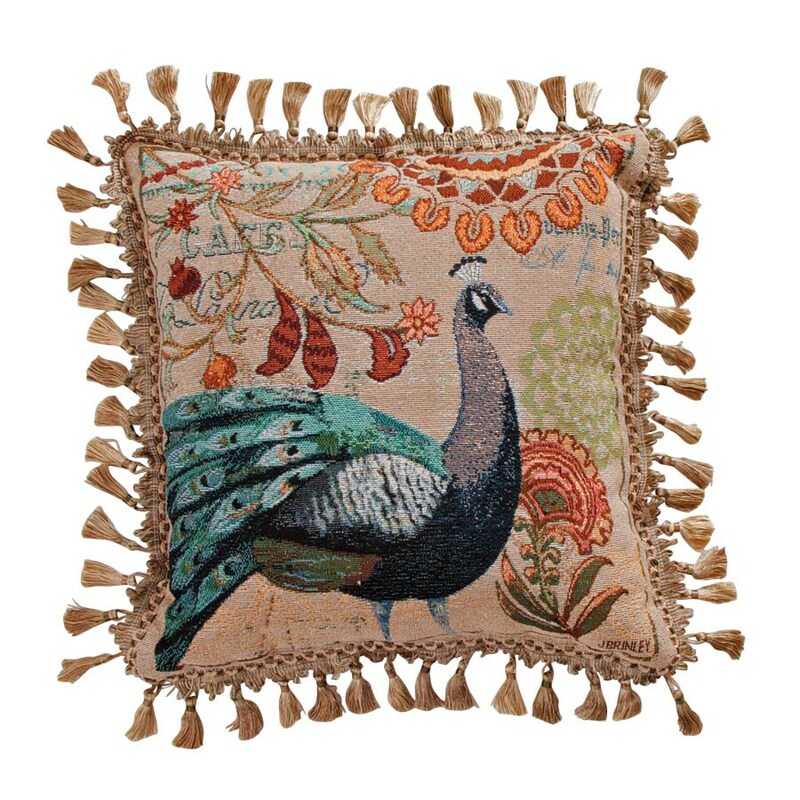 Based on original paintings by American artist Jennifer Brinley, who finds her inspiration in French textiles and Italian ceramics. Cotton-poly with polyfill inserts; reverse to solid brown. 17" square. Spot clean. Made in a family-owned mill in the mountains of North Carolina.